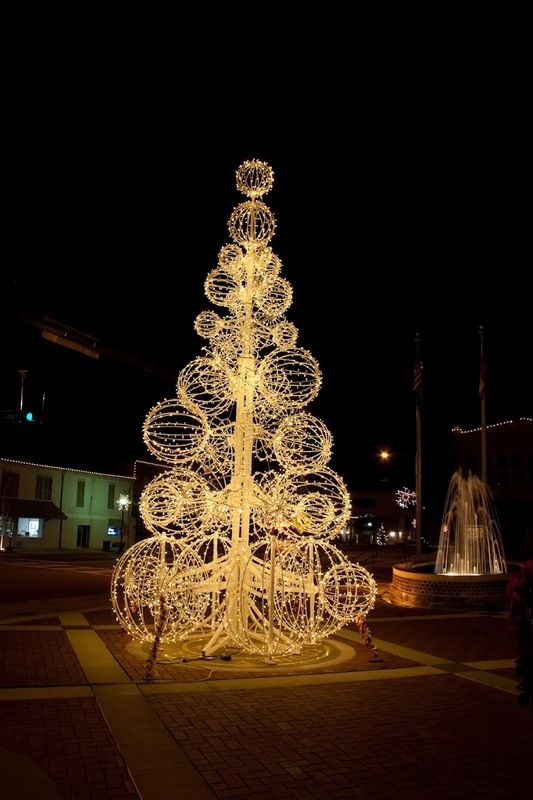 In 2011, Downtown Decorations teamed up with Calhoun, Georgia's Downtown Development Authority to create an enormous sphere tree for the city. 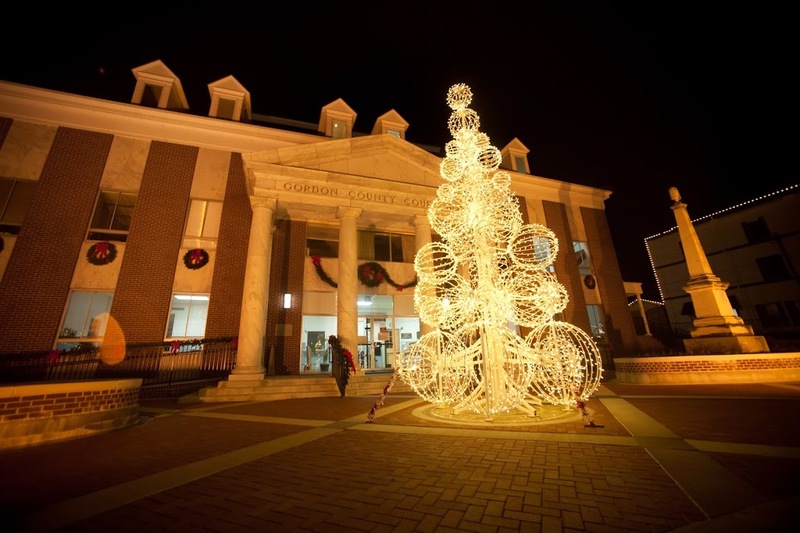 Calhoun has around 16,000 residents and is located just 50 miles south of the charming Chattanooga, Tennessee, and 70 miles north of the fast-paced Atlanta, Georgia. 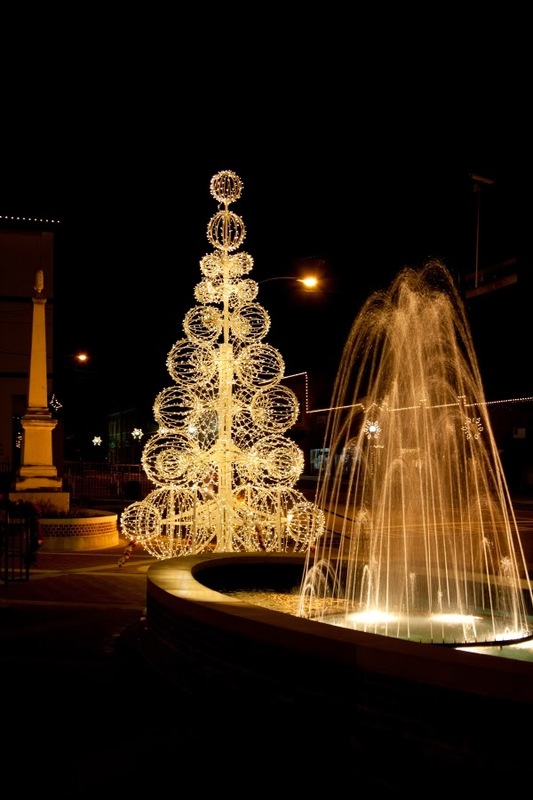 Due to its location, many people pass through Calhoun each year. 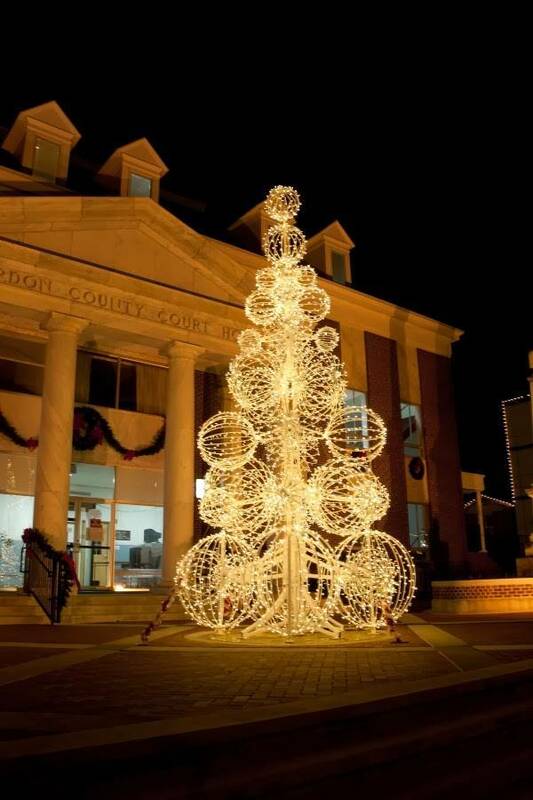 The city decided that they really wanted to impress their visitors and residents with some memorable holiday decor. 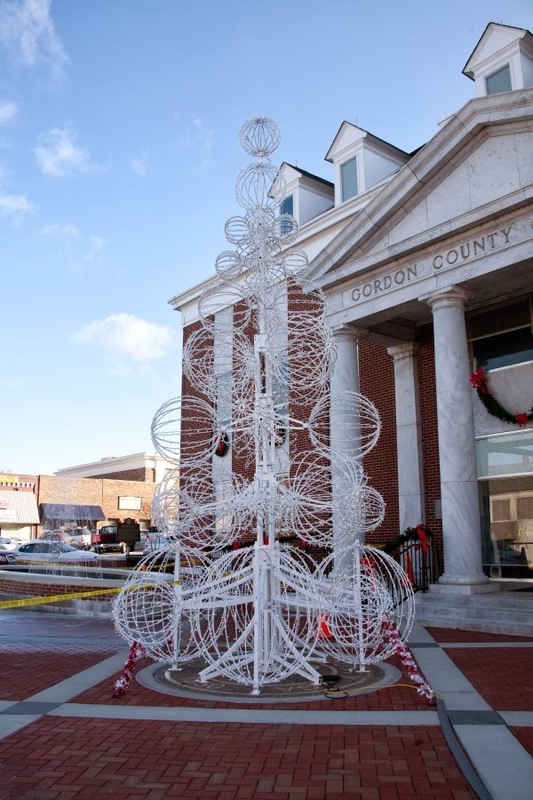 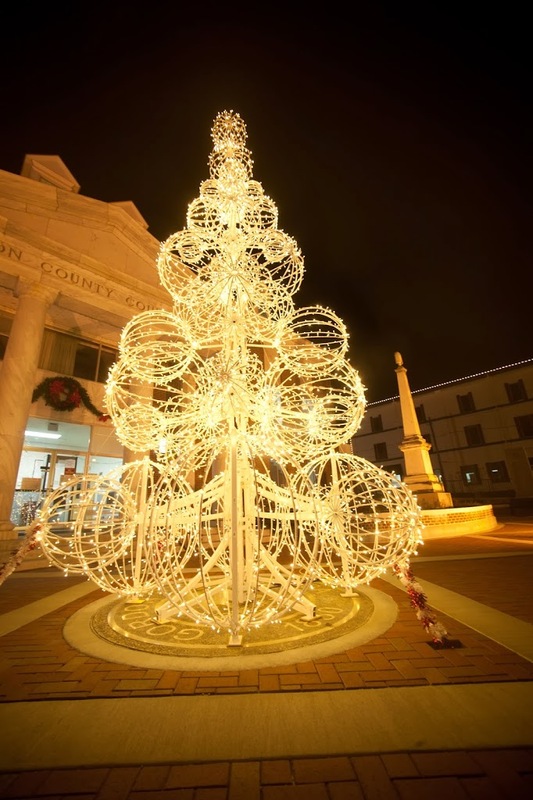 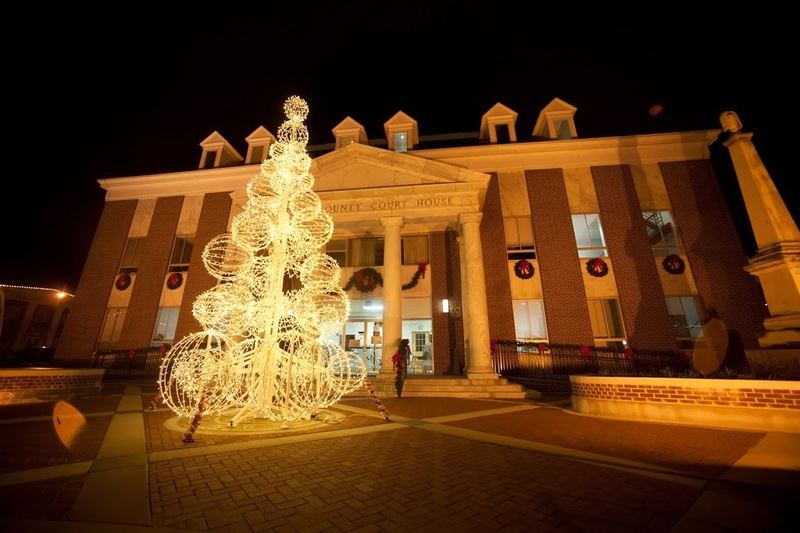 Downtown Decorations designed this awesome 21 ft. sphere tree to put in front of the Gordon County Courthouse, the center pint of the downtown. 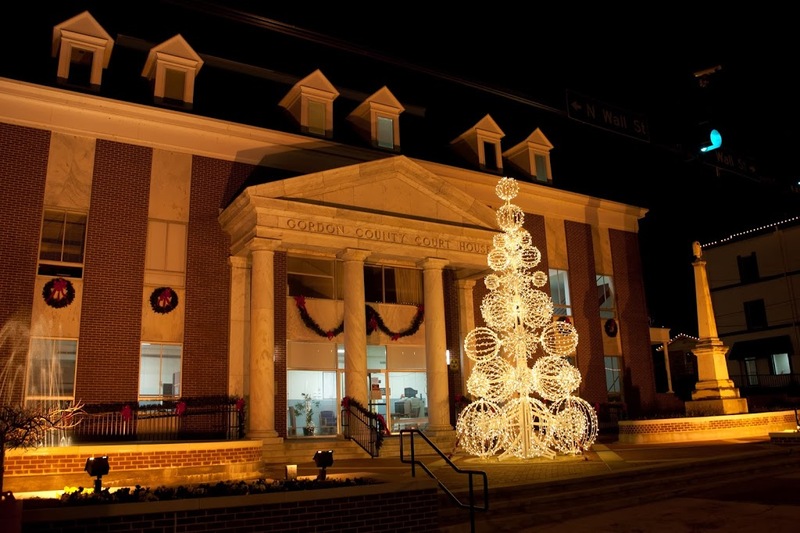 We think the project turned out great. 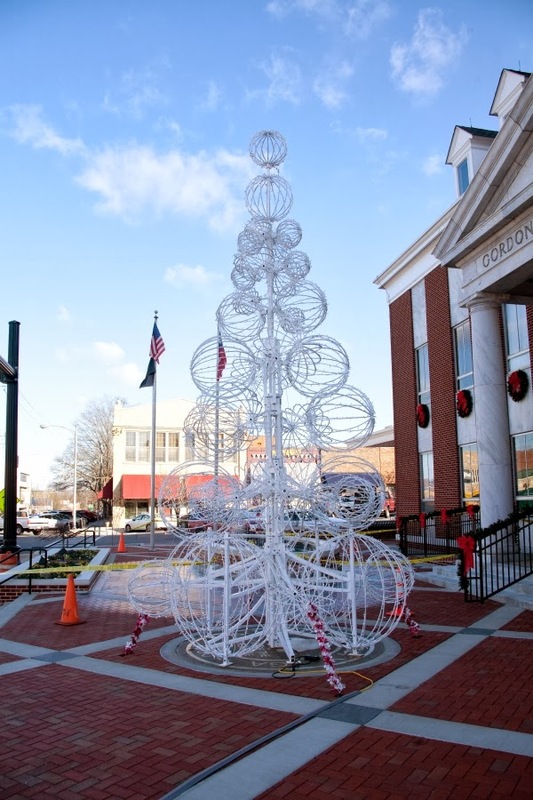 Take a look at some more shots of downtown Calhoun below and click here to learn more about our sphere trees.